Kaitlyn Bristowe is definitely one of the funniest Bachelorettes in the history of the show. So having a stand-up comedy date is obviously a good fit for her. Amy Schumer is one of the funniest comedians working today, and she's a huge fan of The Bachelor Franchise, so it just plain makes sense to pair the two together -- which is exactly what happened in episode "Week 2" of the show. Amy called Kaitlyn her "favorite person" who has ever been on the show, and the two chatted about how crazy it would be if she had married Chris Soules on The Bachelor. Amy cracked Kaitlyn up when she asked how angry Kaitlyn would be if she made out with a couple of the guys. 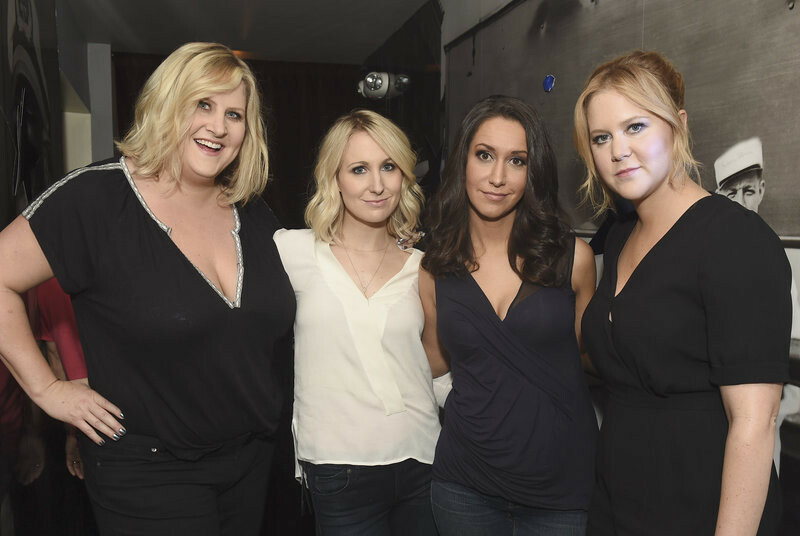 A few of Amy's comedian friends -- Bridget Everett, Nikki Glaser, and Rachel Feinstein -- helped Amy in coaching the guys on their jokes.